The much degraded up platform is extant, although without edge stones it is little more than an overgrown mound. At least one concrete lamp post stands at the back of the platform; others might be hidden in the undergrowth. Nothing else remains apart from the railway gate posts at the entrance to the station forecourt. The station site is now occupied by ABG International. Notes: Middleton-on-the-Wolds was one of four intermediate stations opened on 21st April 1890 on the North Eastern Railway's Market Weighton - Driffield line. The station had two facing platforms. The main station building was in the centre of the down platform. It comprised a two-storey brick stationmaster's house with its gable end facing onto the platform and a single-storey block alongside, whose gable also faced the platform. The gables were given half-timbered decoration, which was not a common feature of NER station architecture. There was a single-storey recessed central section between the two wings with a timber porch in front of the door. The booking office and waiting room were located in the single-storey part of the building. Similar buildings were provided at Bainton and Southburn. A timber waiting shelter, built to the standard NER design, was sited on the up platform. A 16-lever signal box was sited at the north end of the down platform. This controlled access to the largest goods yard on the Selby - Driffield line. It comprised four sidings, one of which passed through a brick goods shed, whilst another served a goods loading dock behind the down platform. There was a 5-ton crane sited between two of the sidings. In 1911 the station served a population of 1,204. 87,469 tickets were sold that year, making it by far the busiest intermediate station on the line; the main freight handled was cement and barley with 3,155 and 1,554 tons respectively being dispatched from the station. In 1913, 499 wagons of livestock were loaded at the station. 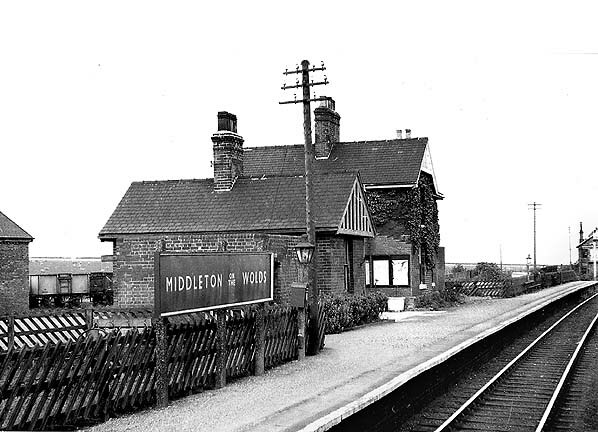 In 1940 Middleton was one of only two stations on the line taking more than £1 a day in passenger revenue, with £1,615 income from passenger fares that year. It was insufficient however, and Middleton station closed to passengers on 20th September 1954 but remained open for goods traffic until 27th January 1964. 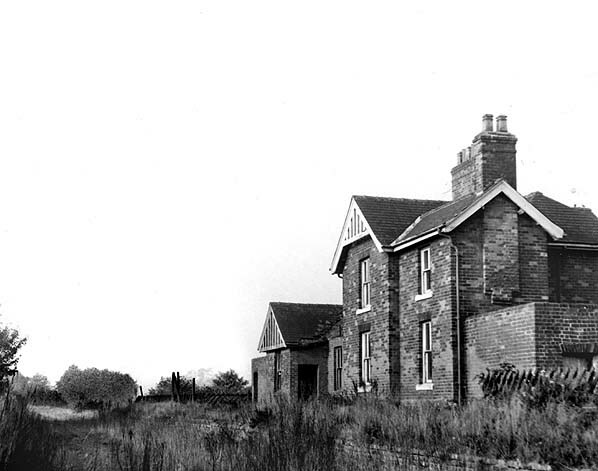 The station buildings were demolished in the early 1970s. complete line of track had been built, and the railway was officially opened to passengers from a temporary terminus adjacent to the quayside at Selby. Both lines were complete by 15 December 1834, on which date the railway began to take goods traffic. Railway Act authorised the building of a 22-mile single-track line from the Hull & Selby line to Market Weighton. Running across flat, open ground with 22 level crossings, the line would have no major engineering features apart from a bridge over the River Derwent at Bubwith,. The contractors for both lines were Messrs. Jackson and Bean, with stations built by Burton & Son. Construction of the line from York started almost immediately with a proposed completion date to Market Weighton of 4 September 1847, the Selby line opening two months later. The latter date soon proved overly optimistic owing to the difficulty in agreeing the siting of Bubwith station and the provision of goods facilities at a number of stations. On the opening of the line eleven permanent way men were employed, plus three coaching department staff, costing a total annual sum of £137.16s. Takings in June 1849 were £2,336, made up of £1,335 goods, £924 passenger, £44 parcels, £30 rents and £3 horse and dog conveyance. Initially there were only two passenger trains each day between Selby and Market Weighton and three between York and Selby, and it was suggested that by juggling the timetable only one locomotive would be required to run both services - but this could not be achieved. By 1866 there were four daily trains between Market Weighton and Selby. The route was always used by excursion trains to Scarborough from its opening, with services being provided by the L&YR. one local each way, ran through to Bridlington, and there were several conditional stops, one at Everingham being to take on passengers for London. 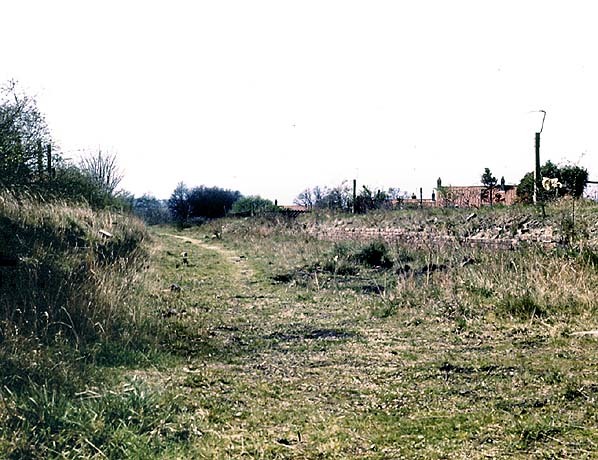 The isolated station at Enthorpe at first had trains only on Wednesdays, Thursdays and Saturdays. By 1899 the service was even better, with two Selby-Bridlington expresses operating between 10.00 and 11.00 with only 20 minutes between them! Enthorpe was also given a regular service of five trains each way, and generally this line was far better served than the Beverley-York line. closed on 14 September1959) and Holme Moor and Everingham, which handled goods traffic until 1965. 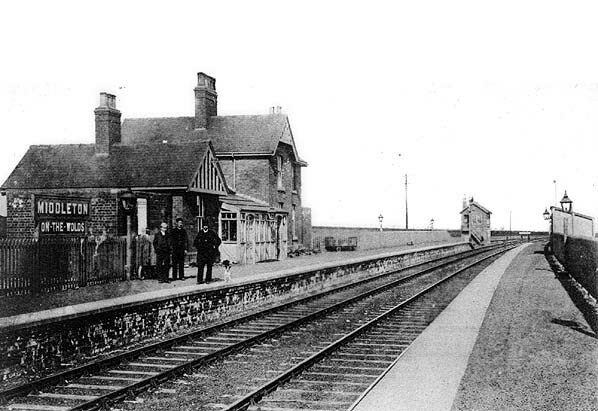 Middleton-on-the-Wolds station looking north-west along the up platform c.1904. 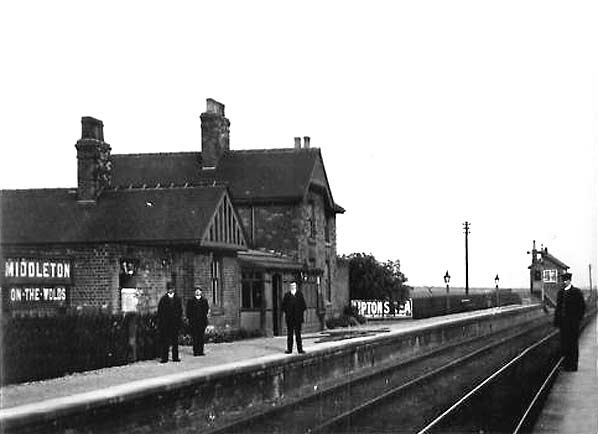 Middleton-on-the-Wolds station looking north-west along the up platform c. early 20th century. Middleton-on-the-Wolds station down platform in early 1950s. Note that the porch in front of the booking office, seen in the two pictures above, has been removed. 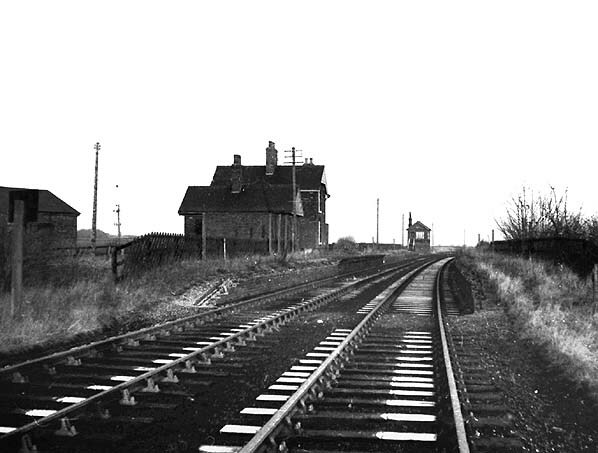 Middleton-on-the-Wolds station looking north-west in 1958. The platform edge stones were removed shortly after closure. 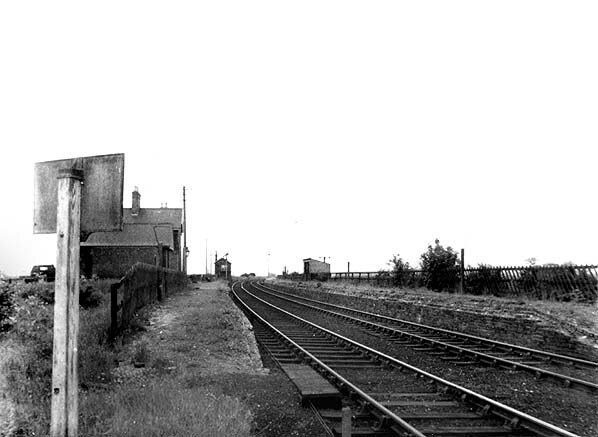 Middleton-on –the-Wolds station looking north-west c.mid-1960s. The goods shed is seen on the left. Middleton-on-the-Wolds station looking south-east in October 1971. Although the building appears to be in good condition it was empty and by 1976 (see below) it had been demolished. Middleton-on-the-Wolds station looking north-west in April 1976. Once the platform edge stones had been removed the platform degraded rapidly. 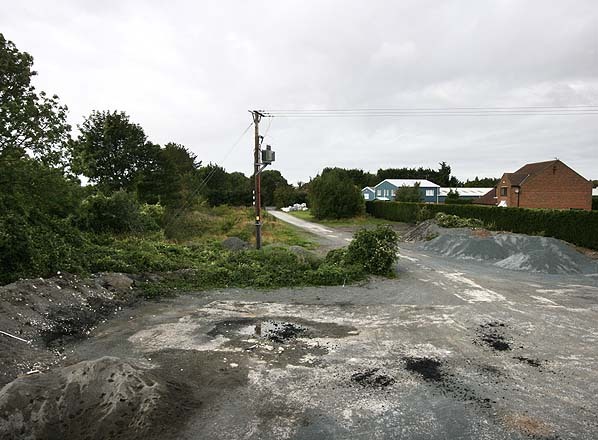 The site of Middleton-on-the-Wolds station and goods yard looking south-west in September 2010. Looking south-west along Middleton-on-the-Wolds station up platform in September 2010. 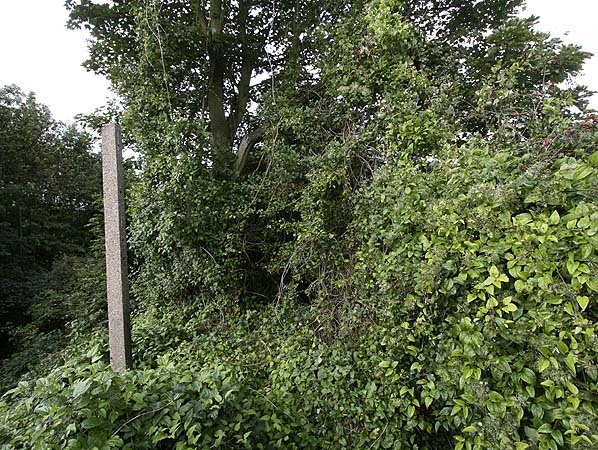 This concrete lamp post is clearly visible, but others might be hidden in the undergrowth.